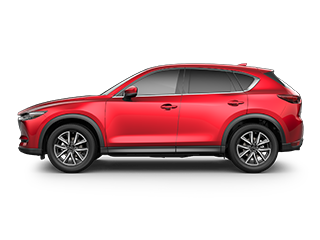 2019 Mazda CX5 Sport 2WD 2.5 A/T Offer valid from 04/02/2019 through 04/30/2019 $179.00 per month for 36 months. 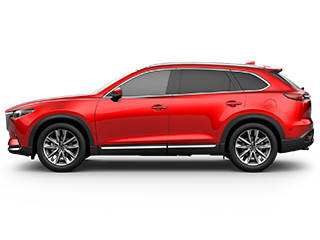 Model #CX5 SP 2A , 4dr., 2.5 A/T., automatic trans. MSRP $25,940.00, $5,125.00 down payment + $179 first mo. pmt + $0 sec dep + $595 bank fee = $5,125.00 due at signing. *Prices include all costs to be paid by a consumer, excludes licensing costs, registration fees, insurance and taxes. Ttl pmt/residual/cap cost: $2,054.00/$15,304.60/$19,989.94. 36 mo closed end lease for 720+ FICO score. Subject to primary lender approval. Leases incl. 10K mi/yr at .20 each add’l mi. Customer responsible for over mileage, excess wear and tear, maintenance, and any fees due on lease turn-in. Any single offer may not be combined with other offers and all offers and promotions in lieu of any other discounts or promotions. Not responsible for typographical errors. See dealer for details. NM and TX residents only. Offer expires 04/30/2019. PURCHASE OFFER 2.9% APR ONLY FOR WELL QUALIFIED BUYERS WHEN FINANCED THROUGH PARTICIPATING LENDER; NOT ALL BUYERS WILL QUALIFY. AMOUNT OF DOWN PAYMENT AND OTHER FACTORS MAY AFFECT QUALIFICATION. 60 MONTHS AT $17.92 PER MONTH PER $1,000 FINANCED WITH $0 DOWN AT PARTICIPATING DEALER. Loan origination fees may apply. Must take new retail delivery from dealer stock by 4/30/2019. Residency restrictions may apply. See dealer for complete details. 2019 Mazda CX3 Sport 4 Dr 2WD 2.0 A/T Offer valid from 04/02/2019 through 04/30/2019 $179.00 per month for 36 months. 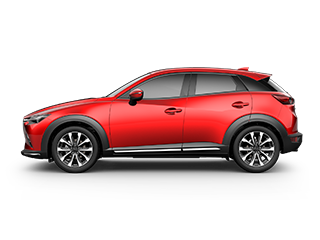 Model #CX3 SP 2A, 4dr., 4 cyl., A/T. MSRP $21,435, $4,375 down payment + $179.00 first mo. pmt + $0 sec dep + $595 bank fee = $4,554 due at signing. *Prices include all costs to be paid by a consumer, excludes licensing costs, registration fees, insurance and taxes. Ttl pmt/residual/cap cost: $1,904/$12,003.60/$18,866.32. 36 mo closed end lease for 720+ FICO score. Subject to primary lender approval. Leases incl. 10K mi/yr at .20 each add’l mi. Customer responsible for over mileage, excess wear and tear, maintenance, and any fees due on lease turn-in. Any single offer may not be combined with other offers and all offers and promotions in lieu of any other discounts or promotions. Not responsible for typographical errors. See dealer for details. NM and TX residents only. Offer expires 04/30/2019. PURCHASE OFFER 0.9% APR ONLY FOR WELL QUALIFIED BUYERS WHEN FINANCED THROUGH PARTICIPATING LENDER; NOT ALL BUYERS WILL QUALIFY. AMOUNT OF DOWN PAYMENT AND OTHER FACTORS MAY AFFECT QUALIFICATION. 60 MONTHS AT $17.05 PER MONTH PER $1,000 FINANCED WITH $0 DOWN AT PARTICIPATING DEALER. Loan origination fees may apply. Must take new retail delivery from dealer stock by 4/30/2019. Residency restrictions may apply. See dealer for complete details. EPA-estimated mileage. Actual results will vary. 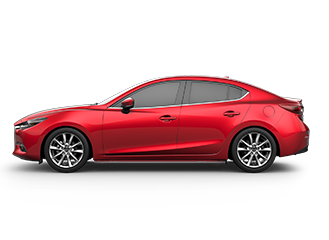 2019 Mazda 3 Sport Select 2WD 2.5 A/T Offer valid from 04/02/2019 through 04/30/2019 $199.00 per month for 36 months. Model #M3S SP A , 4dr., 4 cyl., automatic trans. MSRP $23,720, $4,693 down payment + $199	first mo. pmt + $0 sec dep + $595 bank fee = $4,892 due at signing. *Prices include all costs to be paid by a consumer, excludes licensing costs, registration fees, insurance and taxes. Ttl pmt/residual/cap cost: $2,006.00/$12,334.40.40/$18,854.48. 36 mo closed end lease for 720+ FICO score. Subject to primary lender approval. Leases incl. 10K mi/yr at .20 each add’l mi. Customer responsible for over mileage, excess wear and tear, maintenance, and any fees due on lease turn-in. Any single offer may not be combined with other offers and all offers and promotions in lieu of any other discounts or promotions. Not responsible for typographical errors. See dealer for details. NM and TX residents only. Offer expires 04/30/2019. PURCHASE OFFER 3.49% APR for up to 60 MONTHS. 3.49% APR ONLY FOR WELL QUALIFIED BUYERS WHEN FINANCED THROUGH PARTICIPATING LENDER; NOT ALL BUYERS WILL QUALIFY. AMOUNT OF DOWN PAYMENT AND OTHER FACTORS MAY AFFECT QUALIFICATION. 60 MONTHS AT $18.19 PER MONTH PER $1,000 FINANCED WITH $0 DOWN AT PARTICIPATING DEALER. Loan origination fees may apply. Must take new retail delivery from dealer stock by 4/30/2019. Residency restrictions may apply. See dealer for complete details. (43) New vehicles in stock. (139) Pre-Owned vehicles in stock. Compare your vehicle with another. 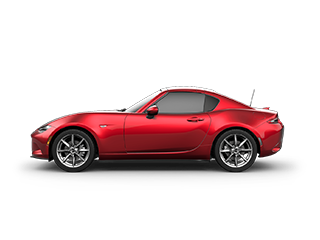 Rudolph Mazda features current national and local offers on new and certified Mazda vehicles. 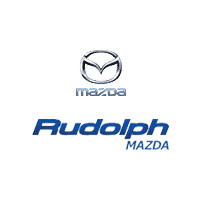 Rudolph Mazda in El Paso, TX treats the needs of each individual customer with paramount concern. We know that you have high expectations, and as a car dealer we enjoy the challenge of meeting and exceeding those standards each and every time. Allow us to demonstrate our commitment to excellence! Our experienced sales staff is eager to share its knowledge and enthusiasm with you. 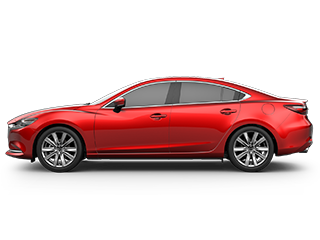 We encourage you to browse our online inventory, schedule a test drive and investigate financing options. You can also request more information about a vehicle using our online form or by calling (915) 845-8501. If you don’t see a particular vehicle, click on Vehicle Finder Service and complete the form. We will gladly inform you when a matching car arrives. If you’d like to see a vehicle in person or give us a call. We look forward to serving you!